Walk the Line is a two day music festival which takes place every year at various venues in Cheltenham, UK during October. The first one took place in 2009. The sixth annual festival will take place on Thursday 9th - Saturday 11th October 2014. 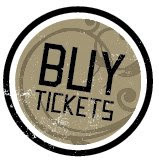 You can either purchase tickets for individual shows or purchase tickets for the whole weekend, which allow entry to all shows. Buy your tickets now! This festival is organised by Tribe Festivals Ltd, who are also responsible for Wychwood Festival, Cheltenham Comedy Festival and run a multitude of other events such as Mega Roller Disco, Cinema screenings and a booking agency.